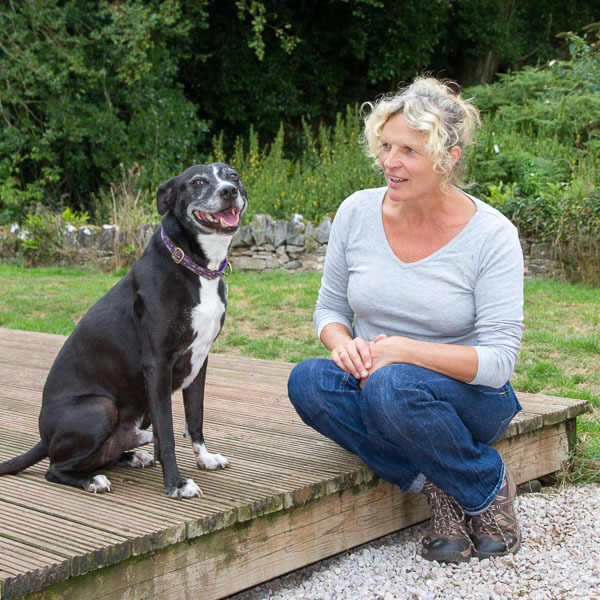 Devon Dog Behaviour Rehab and Rehome was founded in 2012 by dog behaviourist Ruth Owen, who also runs Devon Dog Behaviour. Having consulted for a rescue centre for a number of years, she realised that there was a huge gap between what a rehoming centre offers and what many of the dogs need, in order to get a second chance at life. For the first year, Ruth funded DDBR&R herself, but as the demand increased she realised that this was not sustainable. So DDBR&R was formed as a Community Interest Company (CIC), which is a not-for-profit organisation, in July 2013. DDBR&R’s Company Registered Number is 08625025. The ethos is a simple one. We take dogs of all breeds and ages from clients, vets, rescue centres and members of the public. We focus on the dogs that need our specialist training and behaviour skills to get them to their next life. We also take puppies – which are easily homed but need skilled placement to make sure that they too do not end up in rescue centres. We also make what space we can for oldies that much of society seems to shun. We generally focus on local dogs to us in Devon although there is a huge demand nation wide for welfare places. However, once in a while, we take a desperate dog from elsewhere that fits the only space we have at that time. In short, we help as many dogs in dire straits as we responsibly can, without compromising the dogs we already have. Ruth has worked in dog rescue for thirty years, alongside a varied professional life. She has a BA in Dog Behaviour and Training from Middlesex University and is a fully qualified dog trainer.As well as running the rehabilitation division, Ruth has a thriving dog behaviour practice, operating in the South West of Devon. Ruth works closely with many veterinary practices both in helping their clients who have issues with their dogs’ behaviour and when necessary, taking dogs into the centre that have either been abandoned as strays or need a new placement other than their current home. Ruth has dedicated her life to the rescue and rehabilitation of dogs that need her professional skills.